Grade 1 listed Guildhall/townhall c. 1721 designed by local architect Thomas White. Restored 1878 under the direction of Sir George Gilbert Scott. It has a fascinating history – it was once the seat of justice throughout the city and even housed a prison – and today offers both visitors and residents a glimpse of Worcester’s rich and varied heritage. Along with Queen Charlotte and three of the princesses, he pronounced the Assembly Room – now a function/meeting room – on the top floor of The Guildhall – ‘a handsome gallery’ and drank a toast to ‘prosperity to the city and the Corporation of Worcester’. The portrait of the King – still hanging in the Assembly Room today – was presented by him to the city to commemorate his visit. 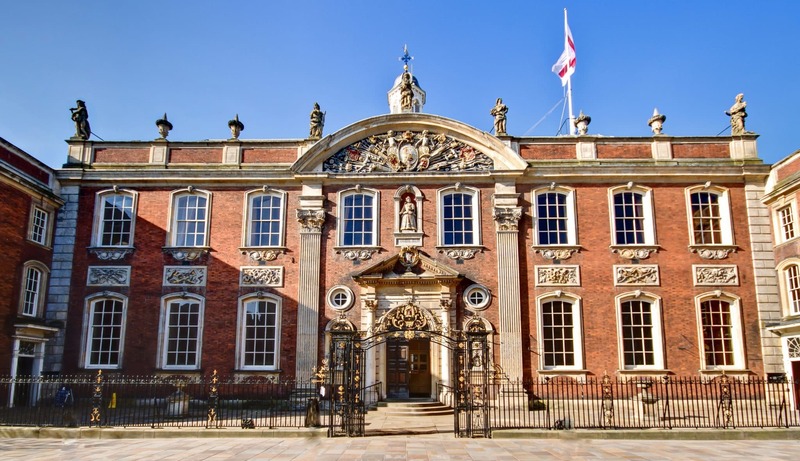 It’s a little known fact that Worcester’s beautiful Guildhall has received its fair share of Royal patronage over its long history; many will remember Queen Elizabeth II’s visits in 2001 and 2012 but how about King George III on a sunny day in August 1788?